Solar heating is a clean environmentally friendly form of energy and when integrated with a typical central heating and hot water system significant cost savings can be achieved. 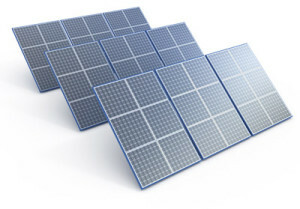 We install solar systems for both commercial and domestic markets. A quality installation assures you of superior performance, fitted to maximise efficiency for your central heating or just for your hot water needs. 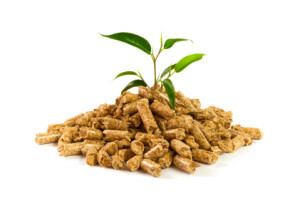 Energy solutions based on biomass and bio-fuels provide clean and renewable energy for large national and international companies. Green-thinking companies are now using biofuels to mitigate the impact their activities have on the environment by reducing emissions of greenhouse gases. This can also generate earnings for your company by saving money on energy costs. 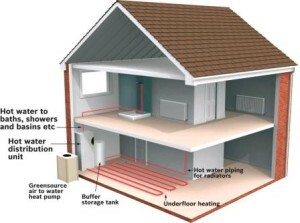 Heat pumps use the latest advances in research to harness the power of Nature. Instead of burning fuel to produce heat, heat pumps take advantage of temperature differences between the outside and the inside of a building. This clever system makes for much greener heating – and can cut down your energy bill by as much as 40%. In an air to water heat pump, the refrigerant absorbs heat from outside air and transfers this energy to your water via a heat exchanger. These systems are designed to work at temperatures as low as -20°C, and are still able to heat your home even if it doesn’t feel warm outside. So it is possible to be warm indoors, even in winter. Our advantage is that heat pumps work better in moderate climates like Ireland, where the difference between outdoor and indoor temperature is not extreme.